Here is a list of some herbs to use. Compatible with tomatoes, pasta dishes, salads, super and vegetable dishes. 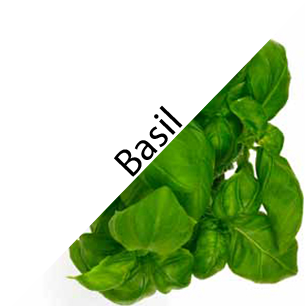 Basil is an annual plant that normally is 20-50 cm high. The plant has an upright, square stems with many side branches. The leaves or the whole of the underground part of the herb may be used. The plant is cut when flowering begins. they must not be cut lower than the lower growth points. Used in salads, with fruit or drinks, soups and sauces or sweet desserts. 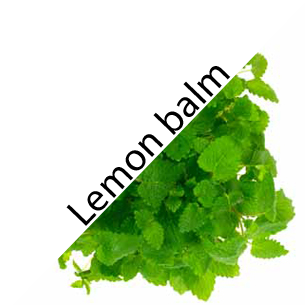 Lemon balm has a square, branched stems with kortstilkete, opposite leaves. The leaves are egg-or heart-shaped, soft hair with coarse toothed blade edge. The plant grows up to 60 cm tall and blooms with small, whitish flowers. Sparks some plant parts between the fingers, emerges a strong, lemon-like scent. fragrant spices and tea plant. Lemon Balm requires fertile soil and a sunny habitat. The tea of ​​lemon balm is otherwise good for fever, migraine, dizziness and tinnitus. When lemon added second infusions, it can in many cases do sweeteners superfluous. Strong aroma of celery, leek and parsley. Can recall the taste of the broth. Fits in soups, rice, pasta, fish and all meat dishes and salads. This is a perennial herb. It is a dense, highly maintained plant with large, succulent leaves. The plant has small, greenish-yellow flower displays. Thrives best in full sun or partial shade. The whole plant smells and tastes rather strong. Lets common in fresh state, but can also be dried and frozen for later use. Powerful and warm aroma with a hint of marjoram and thyme. Often used in Italian cuisine, the pizza and pasta dishes. Good to grilled meat. 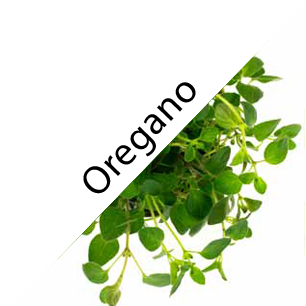 Oregano is a versatile and popular herb. The leaves are quite small and sits on a treen stem. They are used both whole and chopped up. The taste is sweetish and gentle and gives most dishes a delightful fragrance and flavor. It is also used a lot of pasta dishes and especially in tomato sauces. Oregano can almost not use too much. Fits in fish and vegetable dishes, sauces, chopped over boiled potatoes and "dressing". Parsley - Curled parsley or parsley to have fresh green color. Parsley in pots can be left at room temperature and need light and nourishment. It runs for two years. 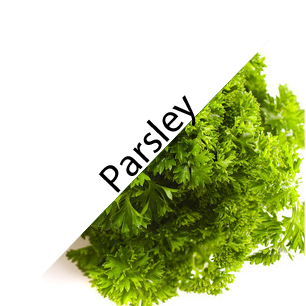 Parsley being cut at the root must be stored in a refrigerator at 2-4 ° C in a plastic bag or plastic container tightly. 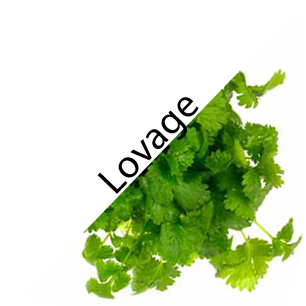 Parsley leaves can be cut and dried. When the leaves are dry, they are crushed and dry, dense and dark.